Eagles' Mighty Munchkin program is for boys & girls age 2 - 5 yrs old and run 40 min. These classes are designed to develop students flexibility, agility, strength, body awareness and development of coordination through the use of basic gymnastics, games and movement to music. Every month we have a new teaching theme to keep the classes fresh and to maximize the students' fun! Mighty Munchkin classes are divided by age so 2 yr olds take Mighty Munchkin 2 classes, 3 yr olds take Mighty Munchkin 3 classes, etc. Eagles has a 4:1 student teacher ratio for age 2 and 6:1 for ages 3-4 & 8:1 in our 4 & 5yr old classes. 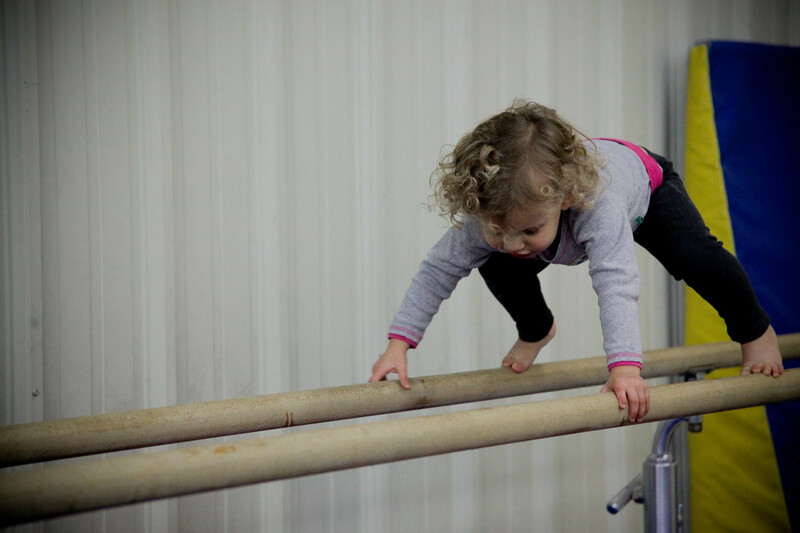 Eagles recommends all 2 yr olds that are new to our program take at least one month of Parent & Tot classes before taking a Mighty Munchkin 2 class.